Explore our campus with other curious students during our on-campus event programs. Attend daylong events filled with activities for you and your family. Accepted student? Consider attending Meet Me at The Avenue in March, a special opportunity designed just for you. 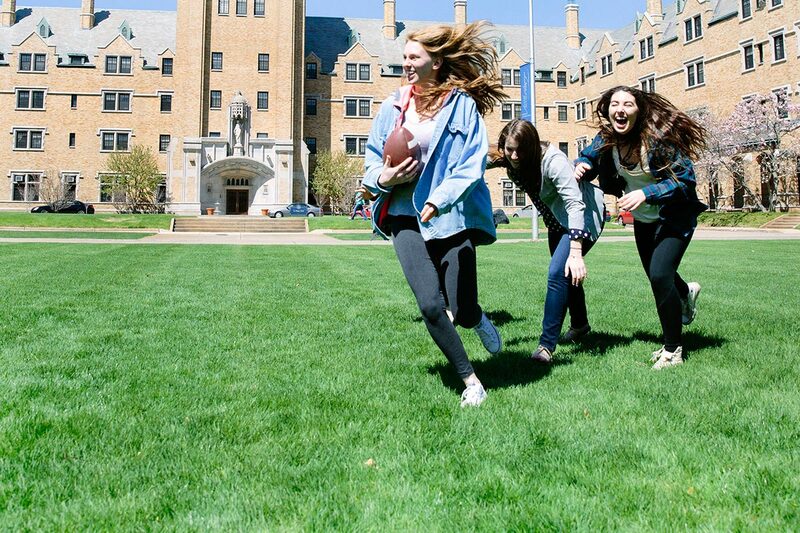 Contact one of our campus visit coordinators at 800-551-7621 or campusvisit@saintmarys.edu to plan your visit. If your schedule will not allow for a campus visit, take a peek at our beautiful green areas, classrooms, residence hall rooms and social spaces by taking a virtual tour. A little taste of what awaits you on our campus.